If you’re traveling with the Beaver Island Boat Company during the week of July 24th – July 28th please read through the following notice! 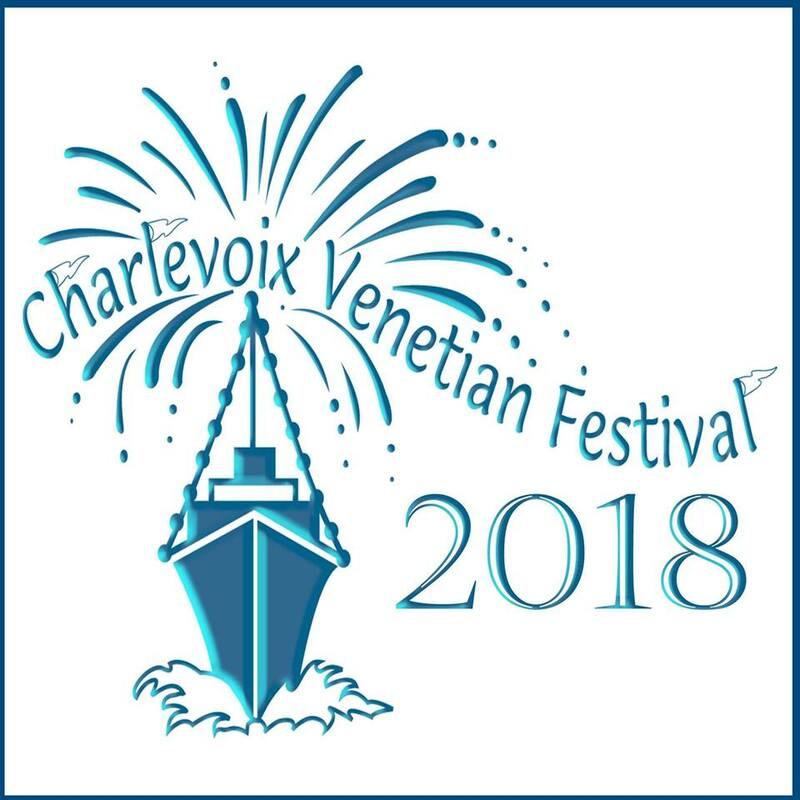 This is a quick reminder to inform you that the week of July 21st – July 28th Charlevoix will be celebrating its 88th Venetian Festival. There will be heavy pedestrian traffic and vehicle traffic in Charlevoix. Please allow extra travel time to arrive at our offices located at 103 Bridge Park Drive. We cannot express enough that arriving early and planning extra travel time will ensure your vacation gets off to a great start. For those of you departing the Island on July 28th or traveling to the Island on the July 28th the traffic level will be exceptionally high. US 31 will be rerouted down State St. from roughly 9:00am to 1:30pm for the parade and a one-mile foot race. Included is a map with an alternative route to our offices and to the overnight parking areas. We will make an attempt to run a shuttle service to the overnight parking areas on the 28th but cannot guarantee the service will be available for the 10:30am arrival in Charlevoix or the 11:30am departure to the Island. 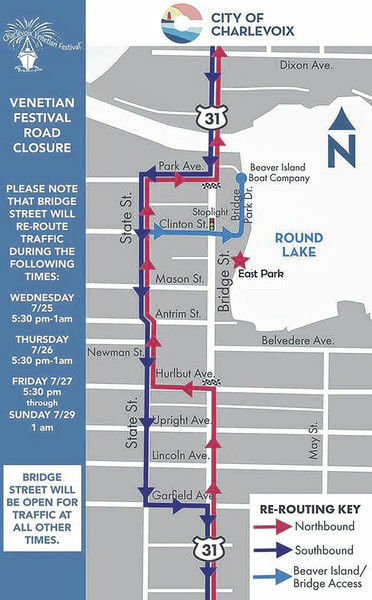 A section of the road closure will remain in place all day until after the fireworks. If you take a look at the attached map you will see that northbound and southbound US 31 traffic is being routed down State St. which runs parallel with Bridge Street/US 31. If traveling to us from the North, go across the bridge and take an immediate left onto Bridge Park Drive. A Police Officer or Venetian volunteer will allow you to turn onto Bridge Park Dr. If traveling to us from the South during the road closure times you will need to turn left onto State Street off from US 31 and follow it down to Park Ave. Turn right onto Park Ave. Turn left onto Bridge Street and then make an immediate right onto Bridge Park Dr. If you have any question please give us a call at 1-888-446-4095. If you are not traveling to the island during this week or have canceled your reservation please disregard this notice.